Eighteen-year-old Jessie Ward defied her mother to join the ATS, Margery Pott signed up for the Women's Auxiliary Air Force, and nanny Kathleen Skin the WRNS. They left quiet homes for the rigours of training, the camaraderie of the young women who worked together so closely and to face a war that would change their lives for ever. Overall, more than half a million women served in the armed forces during the Second World War. This book tells the story of just three of them - one from the Army, one from the Navy and one from the Air Force. 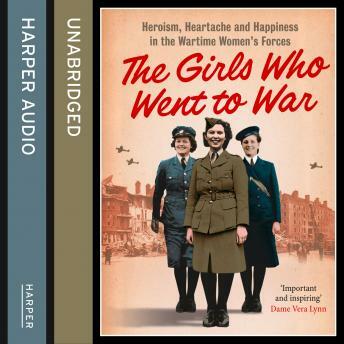 But in their stories are reflected the lives of hundreds of thousands of others like them - ordinary girls who went to war, wearing their uniforms with pride.